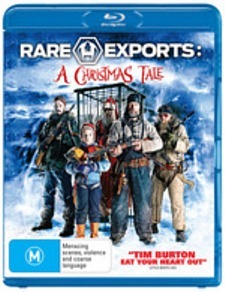 Rare Exports A Christmas Tale Blu-ray Review It’s an accomplished, dark and hugely enjoyable film, the sort of Christmas flick that Hollywood would never dare to make in a million years, and the perfect stocking stuffer for those with a devilish bent. Iconic and ultimately uplifting holiday fare like Wonderful Life is all well and good, but I’ve always found left of centre outings like Bad Santa, The Nightmare Before Christmas, Silent Night, Deadly Night and Santa’s Slay to be markedly more fun. Rare Exports marks the feature length debut for writer and directed Jalmari Helander, though he has been tinkering with the theme for over a decade in the form of spooky Christmas-themed short films and the like. The project has clearly been a long time gestating, and it shows. 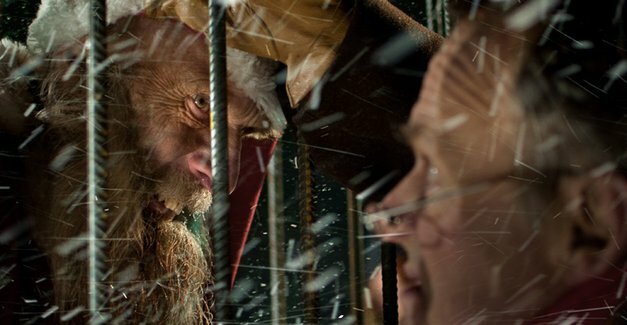 A thoroughly unique and highly sinister retelling of the Santa Claus mythology, this painstakingly crafted film paints old Saint Nick as more of a kiddy-snatching devil than a kindly gift-toting old timer, and has a damned good time doing it. Buoyed by some excellent performances, especially those of child protagonist Omni Tommila, his grizzled father (real-life papa Jorma Tommila) and in particular a flawless turn by Peeter Jakobi, who portrays what must surely rank as the most terrifying ‘elf’ in cinematic history, Rare Exports cleverly mixes black humour with just the right amount of dread. At 82 minutes (of which a full 6 are consumed by the end credits) it certainly doesn’t outstay its welcome, and is a better film for it – the pacing, like the performances and Helander’s thoughtful cinematography, is spot on. It’s an accomplished, dark and hugely enjoyable film, the sort of Christmas flick that Hollywood would never dare to make in a million years, and the perfect stocking stuffer for those with a devilish bent.